Discover the most common 11 reasons why kitty goes missing for days and how to best deal with it! Cats do run away from home. Whether they’re missing only for some hours or even for days at a time, most cat parents can confirm this type of behaviour in their felines. While cats have a very sharp sense of direction, many cat parents are still worried. Cat parents still don’t know the reasons why their cats are running away from home. Is kitty unhappy? Where does she go? Discover the 11 most common reasons why your cat is running away from home and how to best deal with this situation! Let’s face it: Cats are reproductive species. This means, whenever they are in heat or feel that other cats in the area are in heat, they will search for them. Their very sharp senses will detect cats in heat in the neighborhood and there is no fence high enough to stand in the way of your feline then. Should they not find cats in heat in the area, some felines might go even further away in their search. This could lead to your cat being gone from home for multiple days at a time. Good to know: Some cats also go missing when they are due to give birth. They find another place, somewhere hidden, where they build something similar to a nest, to prepare for giving birth in a safe, undisturbed environment. Cats have a sense of their territory and it may comprise of an area larger than your home. Sometimes felines include surrounding areas in their own “home perimeter” as well, such as your street, the neighbour’s garden or the entire neighborhood. Interesting: Wherever your kitty feels comfortable enough, she will easily extend the feeling of “home”. That’s why, seeing your kitty sitting calmly on your neighbor’s window, should not alarm you most of the time. Good to know: Is your neighborhood filled with cats? Felines are known for getting into fights often. Some of your neighbour’s cats may even try to claim their territory in your backyard, which could easily cause your own kitty to try and find another quiet yard. If your kitty feels threatened in her own territory by another cat, she may not be around that much anymore. We are all aware of the genetic heritage of domesticated cats, who descend from larger felines with a hunting instinct. Event though many cats are pretty tamed nowadays, they all have a more or less present hunting instinct. While your kitty appreciates the comfort of your home, she definitely feels the need to hunt, at least every now and then. Should your feline fail to find any prey in your area, it’s very likely that she will travel further away, in her attempt to satisfy her hunting instinct. Like dogs, cats are animals of habit. They don’t appreciate changes and this also includes moving to a new home. This situation needs to be treated with care and you should always prepare your kitty for a relocation. Many cats need more time to get used to the new location and might run away from the new home, searching for their old territory. Is your cat mysteriously disappearing from home every day for a few hours, mostly keeping a similar schedule? If yes, you can be suspicious that your neighbour is feeding your feline with more attractive cat delicatesse. Cats can easily choose another house in the area as a “back-up home” or just a location where they can be extra spoiled. Make sure your neighbours are not too generously feeding your kitty. Reproduction needs are very strong in cats. As long as you have an unneutered male cat, he will definitely spend more time outdoors, searching for purrfect mating partners. Many cat parents are able to worry less about their male cat going missing, once they’ve neutered their cat. Good to know: Sterilization applies both to male and female cats and also aids in reducing their natural instincts of fighting with each other. Interesting: In most areas, neutering your cat is also mandatory by law. Check your country’s regulations, in order to make sure your feline is safe. Many cats will go missing more often when there is a distraction nearby. Interesting: Better food, other felines in heat or just the weather are all possible distractions for your kitty. 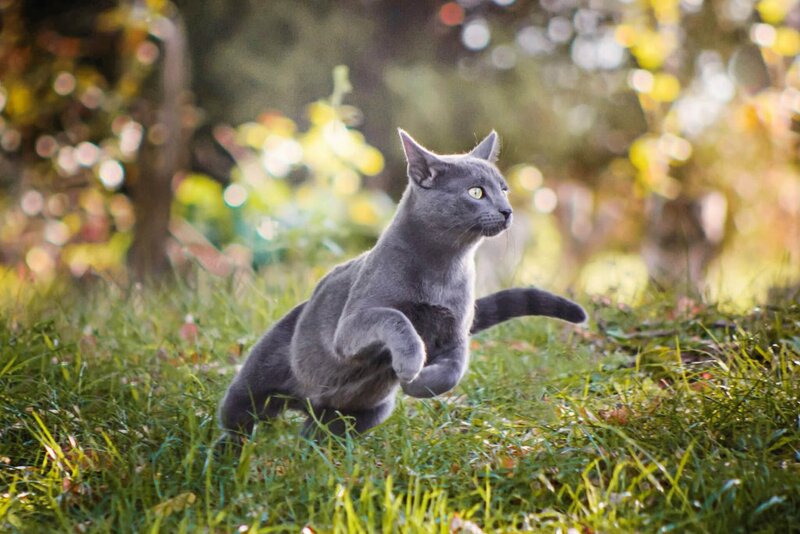 Have you noticed that your cat is running away from home more in the summer days? It’s most likely because she loves to chase insects or other small animals. Cats can be easily distracted by this and it’s a common reason why your kitty might go missing from home for hours or even days at a time. Cats are very sensitive to changes and the arrival of a baby in your home is definitely something that will not go unnoticed. When a new family member arrives, your cat might feel threatened or neglected. That’s why, she can easily decide to relocate to the house across the road, where the old lady feeds her and provides her with exclusive attention. Just like in the case of a newborn baby in the family, bringing home another pet – a dog or even another cat – creates chaos in your feline’s world. Your cat needs time to adjust to the new animal and more than often, she will run away from home if not closely watched. See how to make a cat and a dog be friends in 7 easy steps. Cats are special pets and we all know it. They need their own peace and shelter. Should they feel uncomfortable in your home, they can easily run away from home, searching for a quieter environment. Does your new baby cry most of the time? Did you renovate your home for a longer period or are loud kids always visiting and running around? Such situations can produce discomfort in your cat’s universe and kitty can decide to search for a more appropriate home. 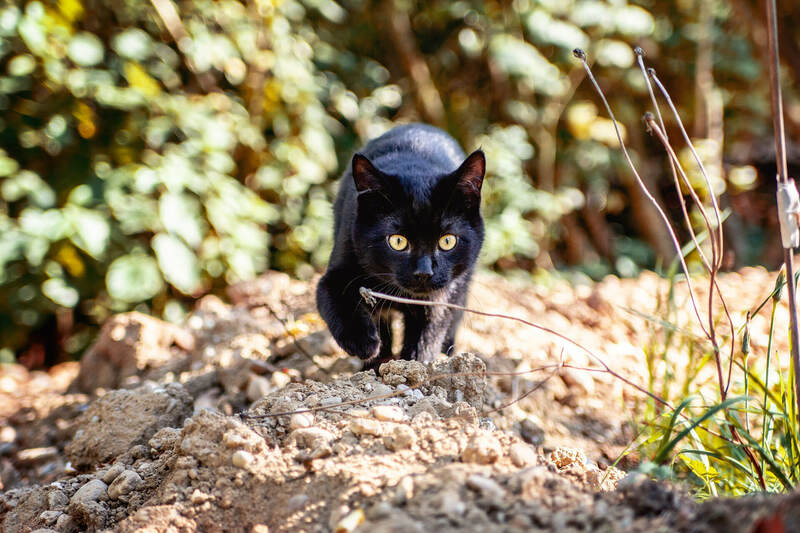 If you have an outdoor cat, it’s normal behaviour that your cat wanders through the area and takes her daily walks outside. What you might also know, is that cats are very curious pets. Good to know: While they’re trying to discover new places, be they distracted or just curious, many cats get stuck in various narrow places, such as fences, tubs, etc. This is when a GPS tracker for cats proves very useful! This way, you will always know where kitty is and can help her immediately, in case you notice that she may be in trouble. The LIVE Tracking feature can tell you where your cat is at all times. Afraid that a tracking collar will create trouble to your curious feline? Worry no longer! Due to the breakaway mechanism of the Tractive CAT Tracker, the collar will immediately “break” apart in case of pressure and it can then be easily re-attached to your feline. Get your feline a microchip. Set parametres where your cat can roam freely and delimit this with a high-quality cat enclosure or catio. Make sure you think about your kitty when faced with changes, such as bringing a new pet home, relocating, having a baby or similar situations. Prepare your cat to deal smoothly with such changes. Provide your cat with attention and care, so she feels comfortable enough at home. Don’t forget to spice up her daily routines with new toys every now and then, and make sure she gets enough food and a quiet place to sleep. Get your cat a GPS tracker device: For complete peace of mind when your cat is missing for hours, get her a Tractive GPS Tracker and track her adventures in real time directly on your smartphone. Plus, should the worst case scenario happen, this life-saving device helps you to act immediately and find your cat. Now you know the reasons why your beloved furry friend might want to run away. But can you be sure that she’ll always know how to come home once she’s run away? This video will answer your question! Like what you’ve read? Share it with all cat lovers! First aid for your dog – Every minute counts!